Published on July 11, 2009 in Youth. Closed Tags: Christian Formation, teens, Youth. 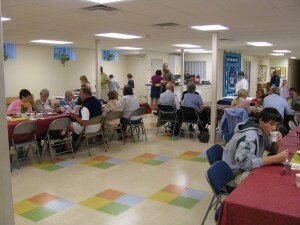 Kids in grades 7 and up gather after breakfast at 9:15 each Sunday. 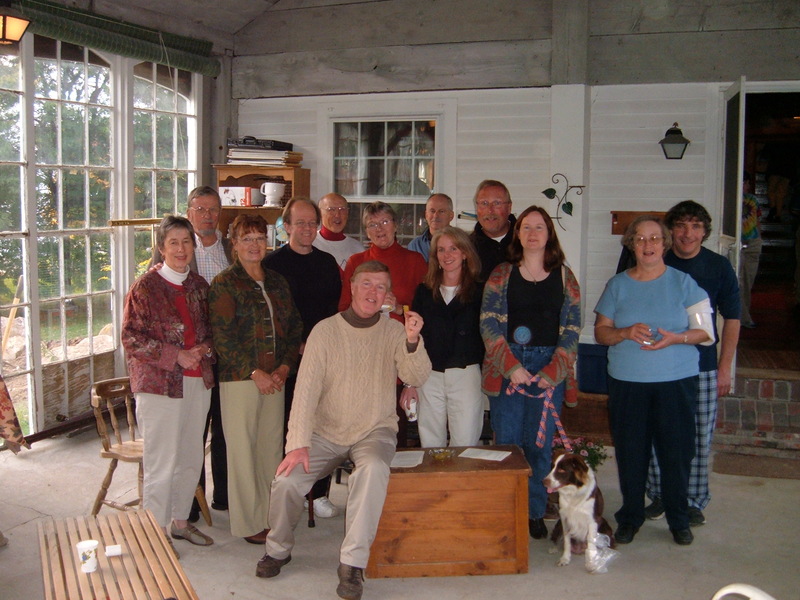 Under the leadership of John Heckman, they engage in games, discussion, activities and learning. They also participate in special events at other times: parties, snow tubing, movies, shopping for Christmas gifts for the children of prison inmates, Adopt-a-Highway roadside pickups, and trips with the youth of other congregations. 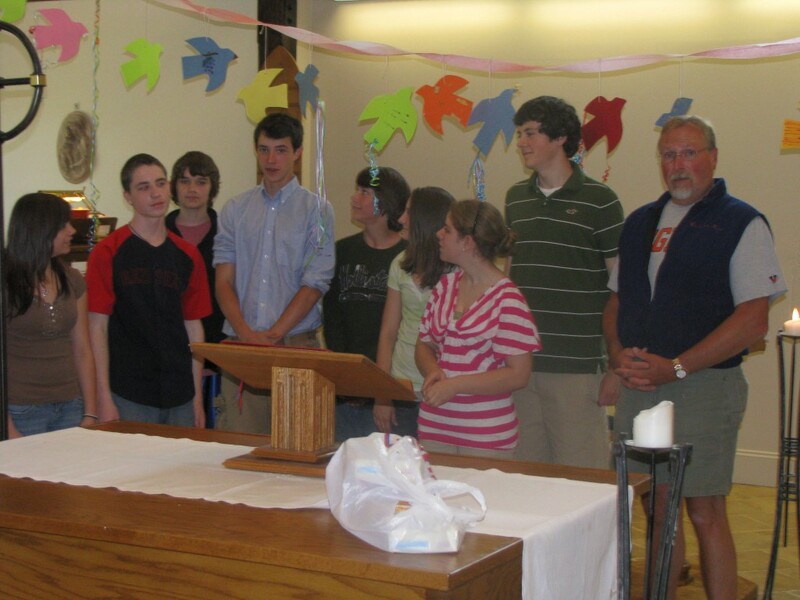 Some of the Youth Group members helped decorate the Worship Space with paper doves for the Day of Pentecost. Our young people also take active roles in worship, reading lessons, playing instruments, as acolytes (servers), and occasionally helping with informal dramas. Coming from several area schools, of a range of ages, Holy Cross teens are a diverse group who enjoy each other, welcome friends and newcomers, and look on the congregation as family. A teenager brings his guitar skills to add to Sunday worship. 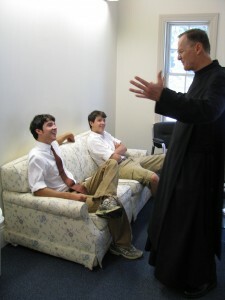 Visiting monk Curtis Almquist visits with Holy Cross teenagers. 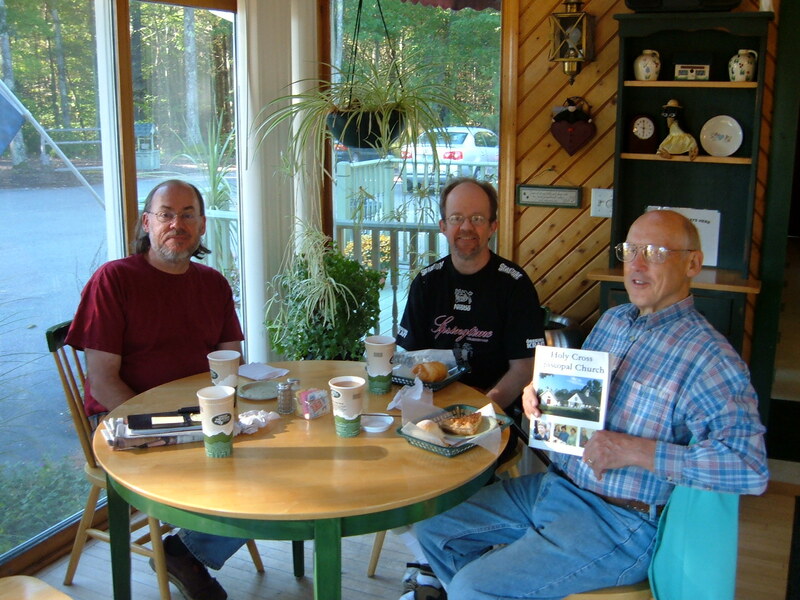 Published on March 5, 2009 in Christian Formation. 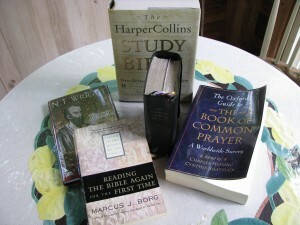 Closed Tags: Christian education, Christian Formation, formation. In the Episcopal Church, it’s become customary to talk of “formation” rather than “education.” Christians are made, not born. We are formed in the ways of Christ, a process that involves hearts and hands as well as heads. Formation is lifelong. At Holy Cross, we take formation seriously, trying to offer thoughtful, enjoyable programs for all ages. Sunday morning formation opportunities at Holy Cross include something for ages 3 through adults. During our formation year (generally early September through Pentecost in May or June), breakfast is served for the whole family beginning at 9:00 a.m. At 9:15, children and youth are invited to their formation programs. Adults lingering over breakfast begin their formation time.